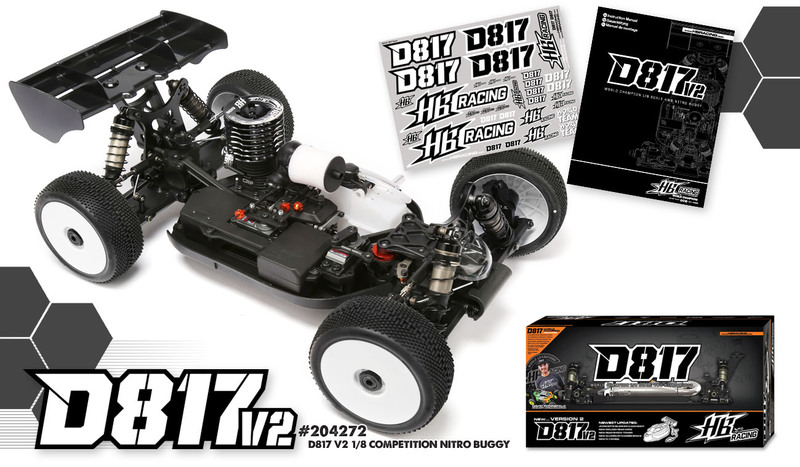 The new D817 V2 from HB Racing takes the World Champion D817 nitro 1/8 buggy and adds the latest updates based on feedback from our Team Drivers. Fresh off the win at the 2016 IFMAR World Championships in Las Vegas with David Ronnefalk at the wheel, the D817 proved that it’s a winner. That’s back-to-back World titles for the D815 and D817 in the most competitive class in RC racing. HB Racing is dedicated to bringing our customers up-to-date kits. The D817 V2 brings you the latest “Version 2” updates, just like what our Team Drivers are using. The foundation for the D817 V2 starts with a 7075 aircraft aluminum chassis that adds 4mm of length to the rear of the car which allows a longer wheelbase (up to the maximum regulation) and shifts the overall center of gravity for more stability, especially on high-speed corners. 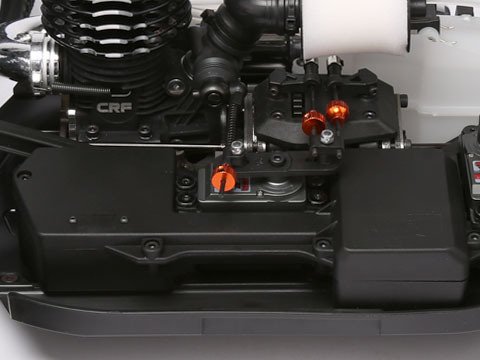 The new chassis is symmetrical for better balance and more consistent jumping and cornering. And it’s strategically machined to decrease weight and balance the flex characteristics. 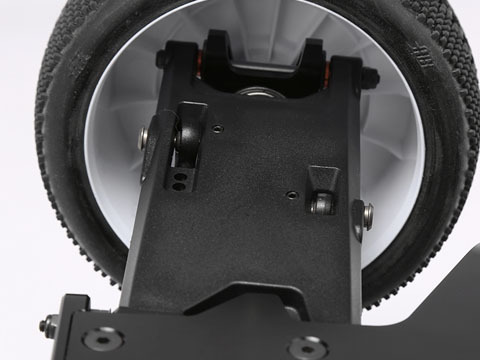 Included on the new V2 kit is a machined aluminum center chassis brace that strengthens the center section of the car, and an updated chassis with countersunk mounting holes for the new brace. 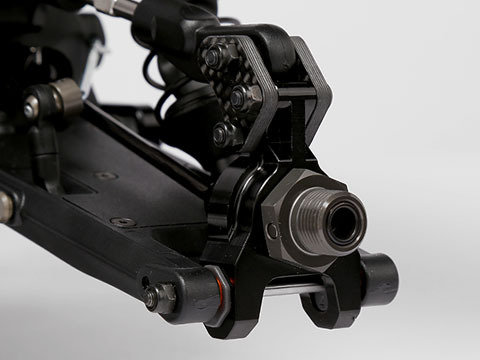 A one-piece CNC engine mount holds the engine in place on the 7075 alloy chassis. A complete competition 3-shoe clutch is included, along with sintered brake pads and double ground brake discs for fade free braking and consistent brake feel. Fully adjustable brake/throttle linkage is standard, as well as a racing fuel tank with the stone clunk, and a lightweight foam air filter. A convenient covered electronics box allows easy removal for cleaning and maintenance, and easy access to servos. V2 updates include a new flywheel that allows fitment of the latest engines, and the brake linkage now uses o-rings for improved reliability and more adjustability than springs. Reliability has always been a trademark of the winning cars from HB Racing, and the D817 V2 continues that tradition. The machined aluminum 17.5° front caster blocks have been strengthened for improved durability. The race-proven 4WD system uses high strength steel center drive shafts, tough sintered diff gears, precision machined steel input gears and spur gear, machined aluminum wheel hubs, and steel Universal Joints that are favored by our Team Drivers for improved performance on bumpy tracks. 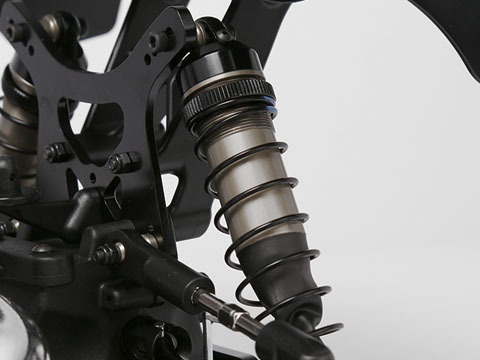 The D817 V2 suspension features the unique HB Racing monocoque suspension arms that allow fine tuning of the stiffness of the front and rear arms to suit track conditions and driving styles. 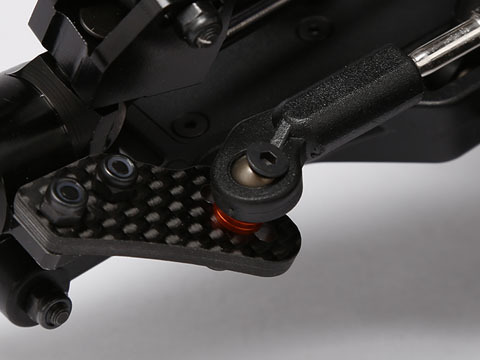 Racers can adjust the grip and feel of the arms using optional stiff arms and carbon plates to increase the torsional stiffness of the suspension arms, which gives the car a more forgiving feeling at the limit, especially on high-speed and high-traction corners. HB Racing big bore threaded coil over shock absorbers help soak up extreme bumps, jumps and potholes like our Team Drivers found on the World Championship track in Las Vegas. And the suspension includes front and rear machined aluminum shock towers, adjustable turnbuckles, front and rear sway bars, hinge pin inserts for easy toe and anti-squat settings, machined aluminum caster blocks, steering blocks and new rear uprights with improved geometry. 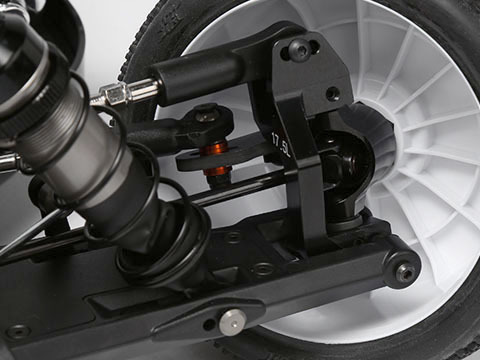 For the new V2 we added our latest narrow rear shock tower that has been a favorite of our Team Drivers for its more useful range of adjustment. 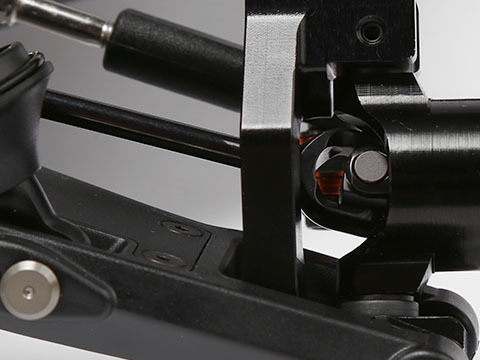 The D817 V2 steering system is built for durability and easy adjustment. It features an aluminum servo saver arm and clamping servo saver adjustment nut, steel turnbuckles, aluminum drag link, highly adjustable Ackerman geometry using steering knuckle plates, and CNC machined aluminum steering blocks. 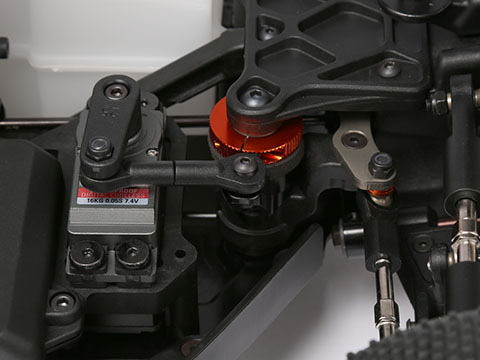 For the V2 we added new aluminum front linkage geometry spacers that replace the plastic spacers for improved bump steer geometry, more precise adjustment, less flex, and we revised the screw lengths to accommodate the new spacers. The V2 kit is now topped with a clear JConcepts Silencer buggy body, just like the one that David Ronnefalk used to win the IFMAR World Championship, and an HB molded nylon wing that is lightweight and durable. Our popular one-piece High Wing Mount is standard equipment, which raises the wing 10mm higher than the low wing mount, putting the wing in less turbulent air flow which helps produce more downforce. The new D817 V2 follows the HB Racing concept... constant evolution to stay at the front of the pack. The team drivers found that the narrow rear shock tower gives a better range of tuning for the rear shocks. 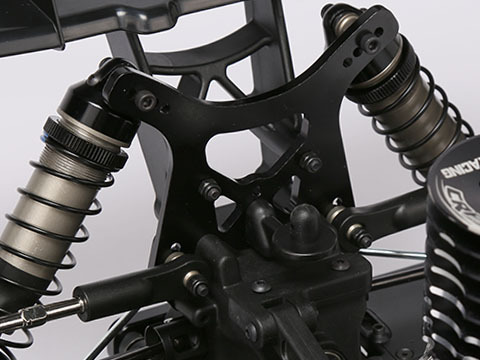 The rear shock length has been revised for the new narrow rear shock tower. 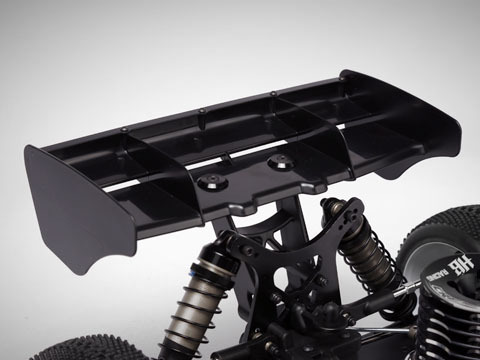 The new aluminum chassis brace helps strengthen the middle section of the chassis. 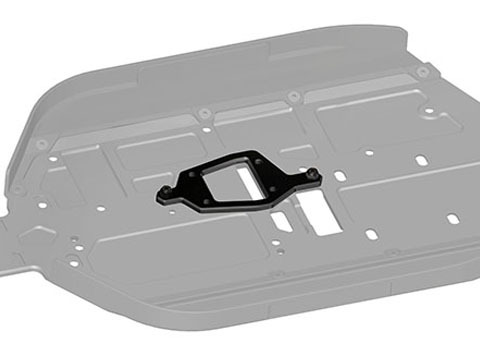 The molded nylon rear wing is nearly the same weight as a polycarbonate wing, but stronger and more durable. New aluminum front linkage geometry spacers allow racers to fine tune the front suspension and maintain consistent geometry. The screw specs have been revised to allow the full range of adjustments. We updated the flywheel for compatibility with the newest nitro engines. Virtually all of the tuning parts available for the D815 are still compatible with the D817 V2. Complete D817 V2 instruction manual and D817 decal sheet included. The D817 V2 accepts standard 1/8 buggy wheels and tires, engines and exhausts, and radio equipment. 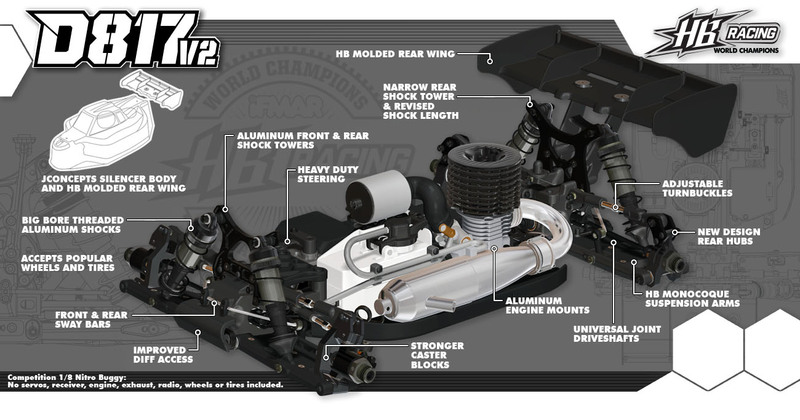 Optional arm mounts, stiffer suspension arms, steering blocks, caster blocks, steering arms, rear hub carrier arms, sway bars, and shock springs are available to tune the D817 V2 to any track or driving style. 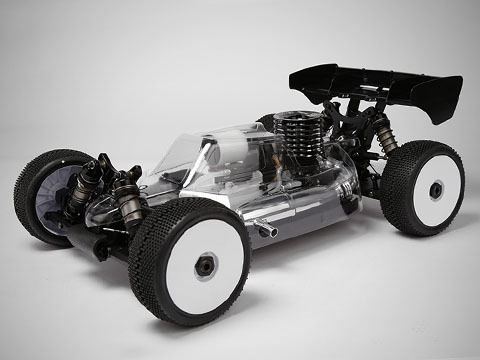 Spare parts and option parts are shared with most of our other 1/8 nitro and electric buggies, so they're readily available at hobby shops around the world.